Out there in the distance you can see it. That’s the mountain that people would set out for when they left St. Louis with “Pike’s Peak or Bust!” written on their wagons. It meant they had gotten to the West. I found it by going east, and in another day I would retrace in 15 hours the route that took them 10 weeks or more. Of course, they did not have I-77 the whole way. 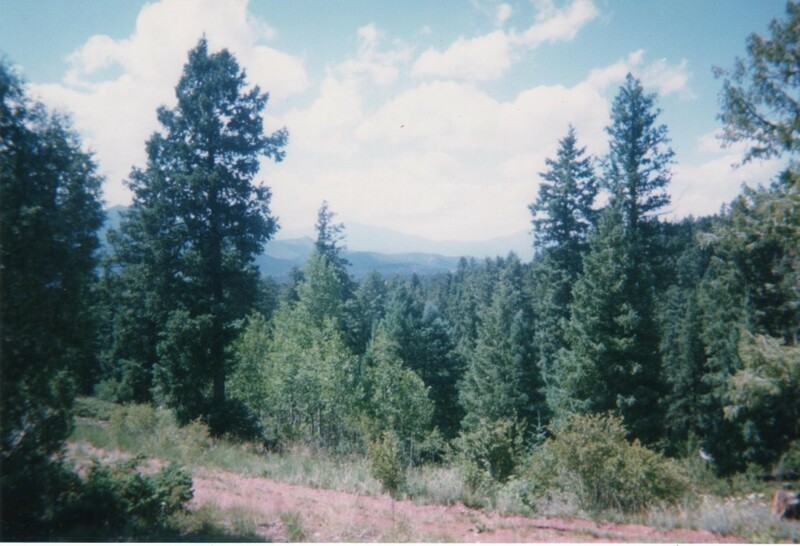 15 hours is a lot of driving for one person on his own, but in addition to having been 25, I was enamored with Colorado. A long day of driving seemed like a small price to pay for an extra day in the mountains. Leaving Twin Lakes, I drove down through the Collegiate Range (so called because it contains peaks with names like “Harvard” and “Yale.” As far as I know, it does not contain a Valley of Love and Delight.) Destination: Colorado Springs. Why Colorado Springs and not Denver or Boulder is a decent question. 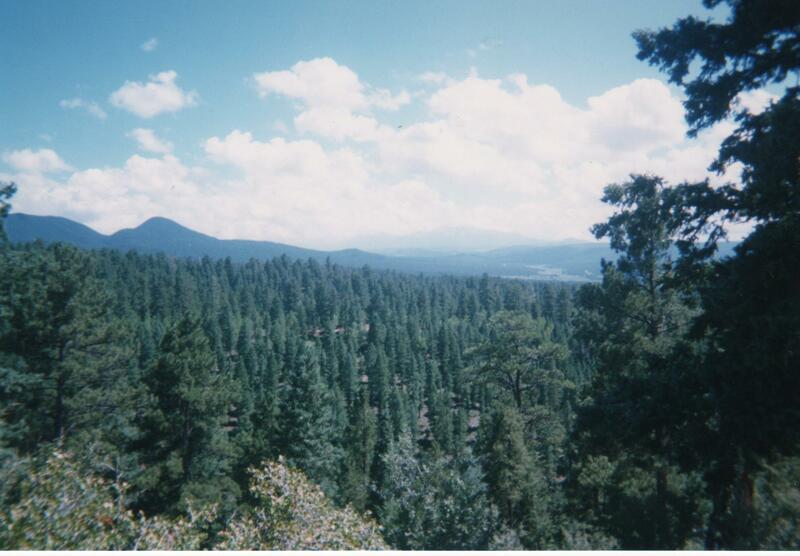 Mostly, I had been to Denver and Boulder a few years before. Between the presence of the Air Force Academy and the Olympic Training Center, I thought Colorado Springs must be a pretty cool place. It might be for all I know, but I wound up outside of town for the most part. 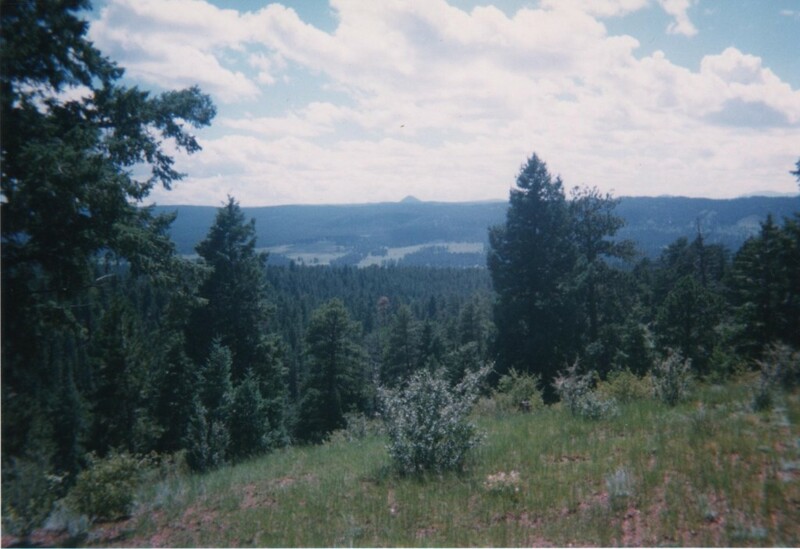 Passing through South Park (yep, that South Park) and Woodland Park (where I could live), I descended to the Garden of the Gods before reaching this camp site in the Pike National Forest. Before the time of being handy with the panorama machine, this was the best I could do to convey the 270 degree view. The idea of camping in this spot was appealing, but a Nissan Stanza really had no place in this place and I had no interest in duplicating the feats of Christopher McCandless. So I headed back to a more developed area for actual overnighting. Once settled I did venture over to the Air Force Academy. Maybe it was the fatigues I wore most days in 8th Grade, but something about military academies fascinates me. The Air Force Academy in particular is interesting because most armed services rely on ancient traditions, but the very idea of an air force is totally modern. 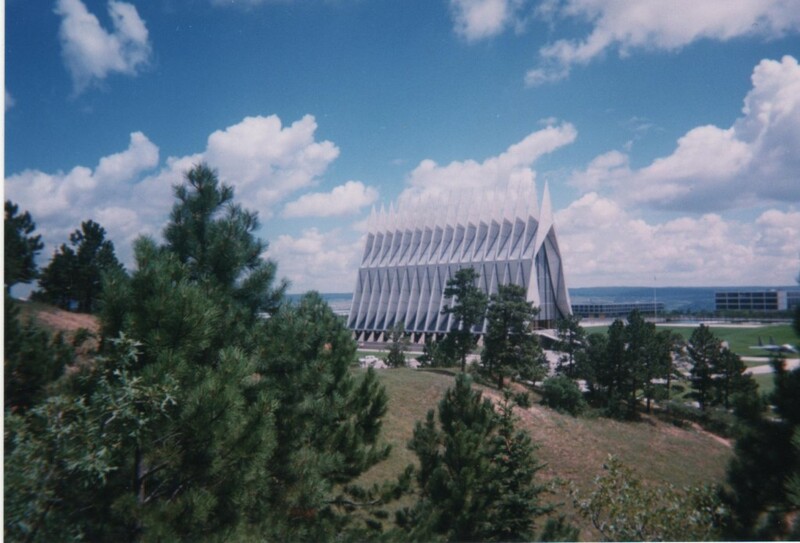 The campus of the Air Force Academy is totally modern as well. Including its chapel, which gives the distinct impression of being made of propeller blades. Inside there are protestant, catholic, jewish, muslim, and interfaith spaces for worship. It is the most distinctive building on the campus. I had not gotten into the habit of buying grey sweatshirts at colleges yet, and I still want an Air Force one.